St Vincent Explorers! 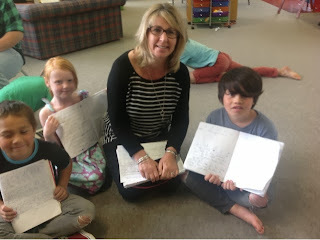 : Mrs Hockley comes to check out our learning. We have been writing andediting together. We have learned to re-read our work and spot thingsthat can be fixed.